Utilizing the pay stubs or user invoice feature - you can automatically calculate how much you owe your staff members over any date range. Time To Pet will put together a report showing the visits completed, how much you pay for each event and the total amount owed to each staff member. 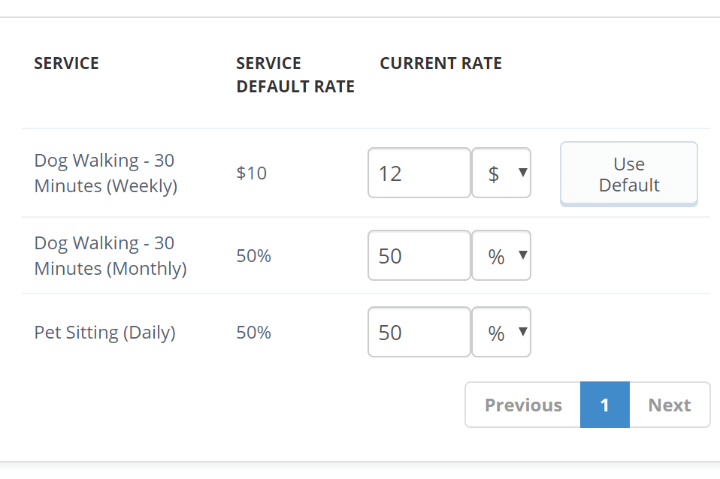 Each service has a default staff rate but if you have different rates for different staff - you can set custom rates for those staff members! 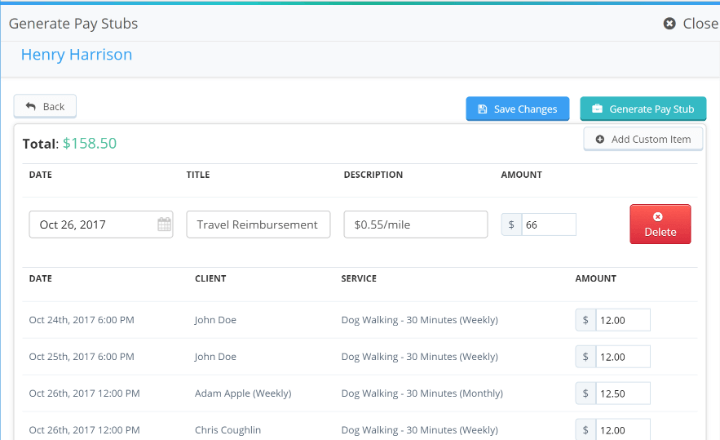 Time To Pet will always use any custom rates you have set when you generate new pay stubs for your staff members. Want to pay your staff member a little extra for a job well done? Or do you give a bonus to staff members on their one year anniversary? 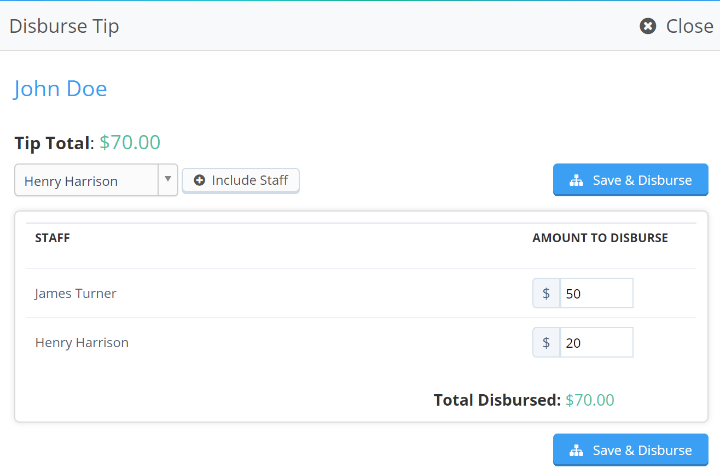 You can edit your pay stub line items or add custom line items when generating pay stubs! When clients make payments - they can add optional tips. When it comes time to pay your staff, you can disburse those well-deserved tips. Tips are dispersed based on the percentage of visits a staff member completed but you can override the distribution if required.